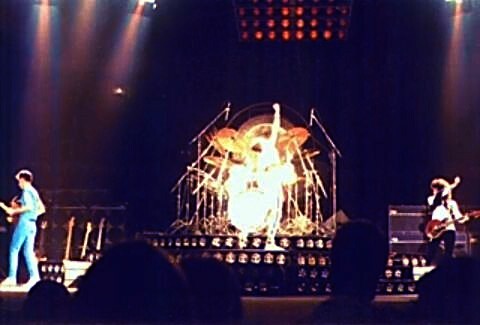 "From the mayor's office, whereas Queen as an internationally-renouned band comprising of four talented musicians, Freddie Mercury, Roger Taylor, John Deacon, and Brian May, formed in 1971, has been a continued source of entertainment for the music-loving world and provided a model of professionalism and great rock and roll. 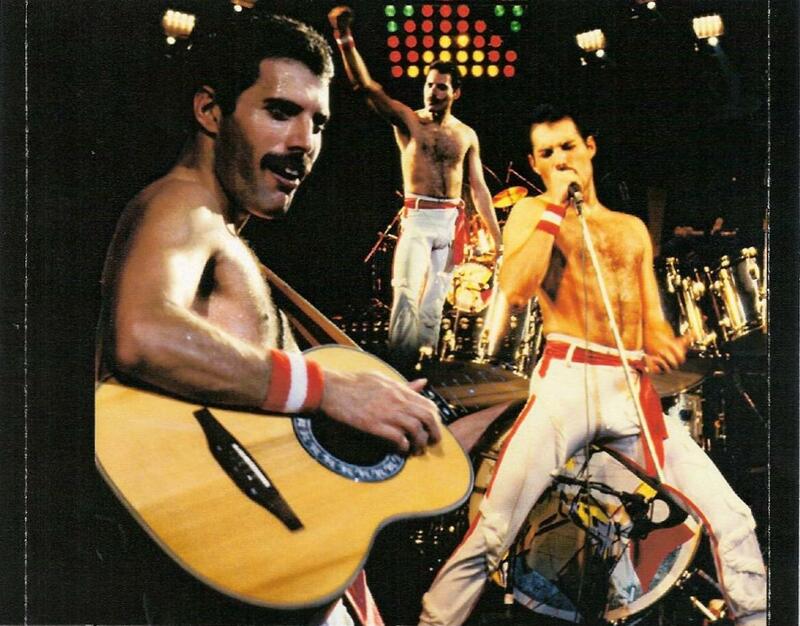 Whereas the band's appearance at the Boston Garden on this day, July 23, 1982, will celebrate the band's first performance in more than two years [ed. not quite! ], I therefore, Kevin H. White, the mayor of Boston, will hereby proclaim this day, July 23, 1982, as Queen Day for the city of Boston." This moment is seen by some as a sort of redemption for mayor White, as he had banned Led Zeppelin from performing in Boston after a 1975 incident. 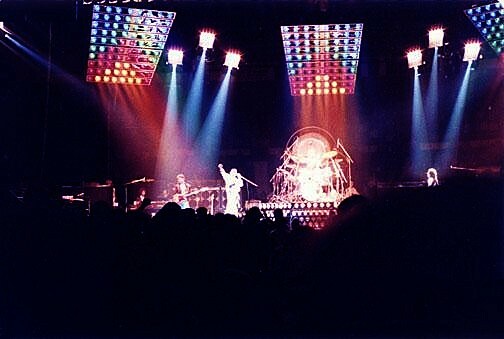 On February 4 of that year, fans were allowed to enter the Boston Garden early after waiting in the bitter cold for tickets but rioted and trashed the venue, leading to the show being cancelled on the spot. 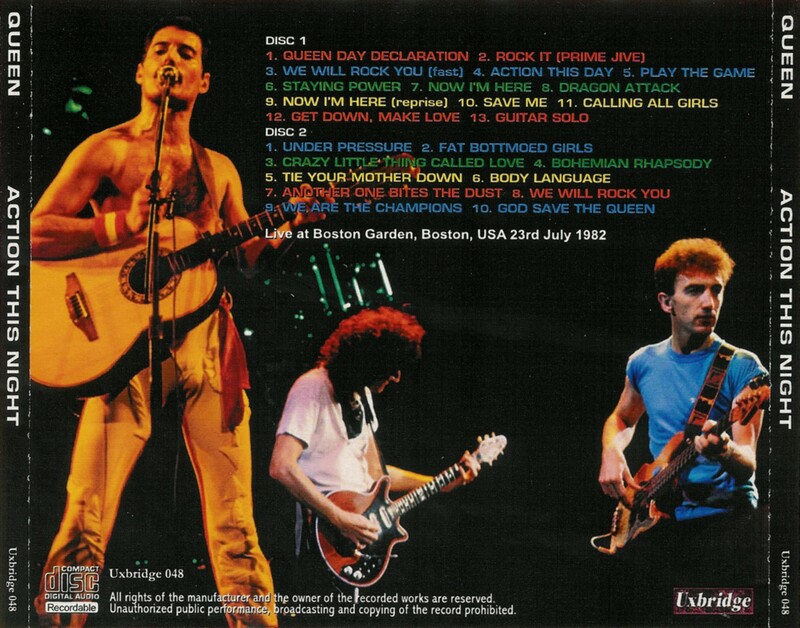 Queen drop the Flash opening just for this one show (since the proclamation presented a different vibe than usual), and simply begin the show with Brian May walking on stage to play a few heavy chords before launching into Rock It. It's not nearly as intense, yet it's still effective as Brian's manner on stage is always charismatic. Brian breaks a string a couple minutes into the song, and has to switch to his Birch spare. Rock It segues into a bit of the fast We Will Rock You, and the band are a bit sloppy ending the song. The audience give this show a wonderful atmosphere, and the band turn in a great performance. There is quite a bit of improvisation at the end of Action This Day and Calling All Girls, reflecting their collective enjoyment. Brian May is having so much fun that he jumps into the solo of Dragon Attack early, cutting out the second verse entirely. The band decide against playing Back Chat on the second night of the tour. In fact, they wouldn't play it again until October. This show is briefly mentioned in a review of Hot Space in the September 27th Indiana Gazette. The pictures seen above were improved by Nino Trovato. This is a great-sounding stereo recording. A couple minutes of Brian May's solo are cut for a tape flip. The recording runs a tad slow. Rob Schoorl taped this show (with newly-upgraded gear), as well as 2-5-77, 12-1-77, 11-17-78, and 8-20-80. 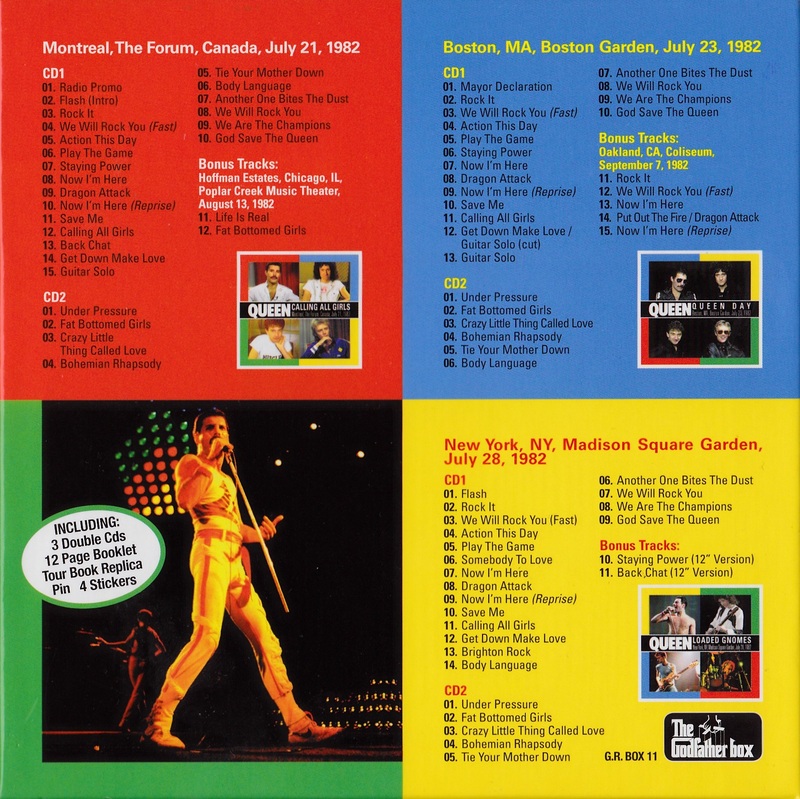 Not to be confused with the bootleg from Dortmund '82, the Boston audience recording was bootlegged for the first time in December 2008. 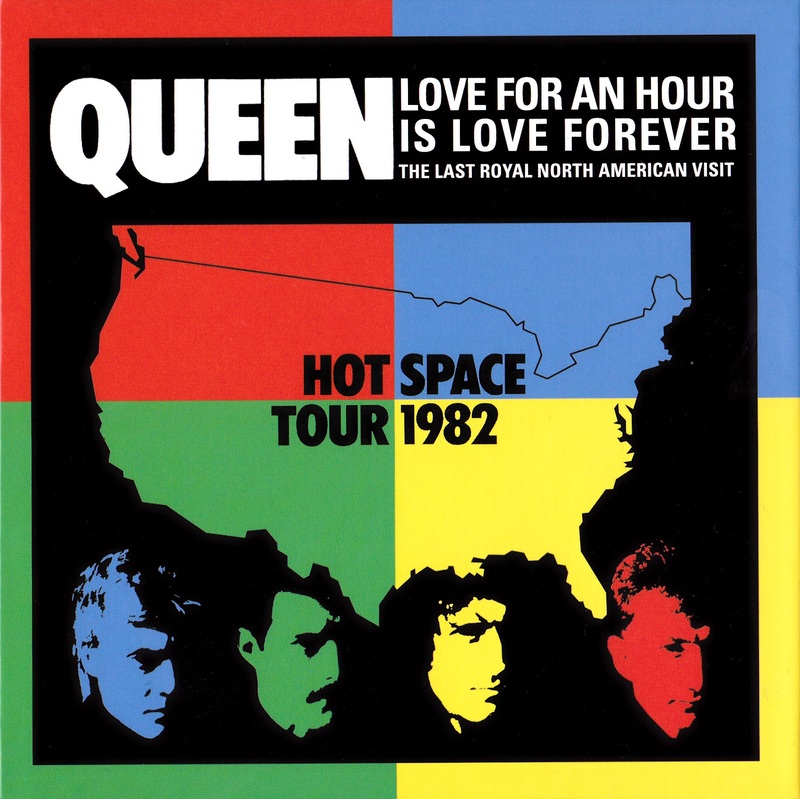 Godfather released an attractive-looking boxed set in September 2011 called "Love For An Hour Is Love Forever" containing three shows from this tour. The Boston audience tape has been EQ'd a bit. This alternate audience source doesn't sound quite as good, but the guitar solo is complete. The solo has a four minute cut and repeat, so properly edited the actual length is 86 minutes.